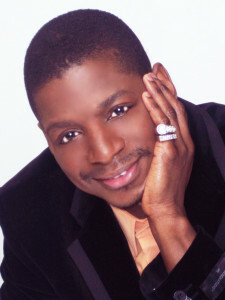 Leon began to develop his great talent as a dancer and choreographer during his years at the High School for the Creative and Performing Arts, Philadelphia, PA. In 1978, he began to build his repertoire based upon philosophies he formed during his extensive experiences in both theatrics and dance with the Playward Bus Theater Company and dance master, John Hines. In 1980, he co-directed a company that flourished and eventually became Eleone Dance Theatre. Leon, as he is affectionately known, worked as an entertainer, choreographer, performer, composer and educator in programs sponsored by the Institute of Arts and Education, Wanamaker Middle School Theater Arts Program, the Christina Cultural Arts Center, The American Music Theater Festival and many others. In addition to being mentored by and working with Maurice Hines, Leon also worked with greats such as Chita Rivera, Donald O’Connor, the Boston Pops, Dee Dee Sharp, Roberta Flack and Tachina Arnold. His most enduring engagements were with “Browser,” the notable performer from the Group Sha Na Na. Leon received a special citation from the City Council of Philadelphia and the Bright Hope Baptist Church to honor his generosity and commitment to elevating the artistic programs of the church to new levels of excellence. He was also given the Imhotep Award from the Christina Cultural Arts Center and featured in the February 1997 “50 Rising Stars” article in Seven Arts Magazine. Awards and appointments include: former co-director and choreographer for Philadanco II, the Lawrence Epstein Award for Choreography, and recipient of the 1998 Dance Advance Grant funded by the Pew Charitable Trusts, administered by the Philadelphia Dance Alliance. In 2002, he was a Channel 17 UNSUNG Hero. 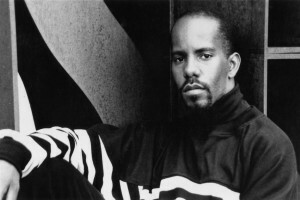 In addition to his artistic duties, Williams is presently the dance instructor at the Meredith School, Primary Instructor for the New Freedom Theater Intensive Training Program and teaches at the Creative and Performing Arts High School, the Christina Cultural Arts Center, and the Philadelphia School of the Dance Arts. Mr. Williams was invited to teach a master class and lead the audition workshop at the 2000 Black College Dance Exchange, Hampton, VA. Under the Artistic Direction of Shawn-Lamere Williams, Eleone Dance Theatre has performed throughout Philadelphia, Delaware, and Virginia at such venues as the Wilma Theater for DanceBoom, Danceplace in DC and Hampton University, the Wilder Performing Arts Center, and the Cultural Arts Center at Glen Allen in Virginia. The company has received numerous grants, including Dance Advance, the Philadelphia Cultural Fund, the PCA Preserving Diverse Cultures and consistently present repertory concerts, its annual holiday production of “Carols in Color,” and its arts-in-education production of “From These Roots.” Eleone Dance Theatre has performed in the North Carolina Arts Exchange Presenters Showcase, the Maryland Dance Council Festival, The Ohio Presenters Showcase, and two APAP NYC showcases. Shawn-Lamere Williams’ choreographic works for the company, namely, “We Give Thanks,” and “Sweet As the Morning’s Flow” have received rave reviews. The 2005-06 Dance Advance Grant awarded to Eleone Dance Theatre supported the choreography of Mr. Williams “Sweet as the Morning’s Flow” Suite to commemorate Eleone’s 10th Anniversary Dance Season. Mr. Williams is currently the founder and artistic director of Eleone Connection, the second company of Eleone Dance Theatre and Eleone Dance Unlimited, the Official School of Eleone Dance Theatre. He is also the recipient of 2008 and 2011 Mayoral Citations from the City of Philadelphia for his contributions to the Philadelphia arts community. Sheila A. Ward is presently a tenured Professor in the Department of Health, Physical Education and Exercise Science at Norfolk State University. She is Co-Director of and performs professionally with Eleone Dance Theatre of Philadelphia, PA. She holds a B.S. in Physical Education with an emphasis in Dance from Indiana University and an M.Ed. and Ph.D. in Exercise Physiology from Temple University. Dr. Ward also earned a Masters of Public Health with a concentration in Epidemiology from Eastern Virginia Medical School/Old Dominion University, Norfolk, VA. Integration of her degrees in exercise physiology, epidemiology/public health, and dance has served as the foundation to promote, ‘Health Empowerment through Cultural Awareness,’ the guiding principle from which she conducts scholarly activities related to chronic disease prevention and management. 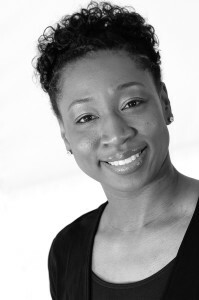 She is a Fellow of the American College of Sports Medicine (ACSM) and a Certified Instructor for both the Umfundalai African Dance Technique and the Katherine Dunham Technique. She was Publications Chair of the National Dance Association and served on the Editorial Board of JOPERD (2006-2009). She was the Math/Science Coordinator for the National Youth Sports Program – Temple University for 13 years where she designed and conducted a Fitness and Sports Science Program to introduce math and science to summer student campers 10-16 years of age. She is currently on the Editorial Board of the Physician and Sportsmedicine, a reviewer for JOPERD, and Chair of Grants & Research for Black Women in Sport Foundation. She is the Project Director for the NSU Health and Wellness Initiative for Women and a Roster Artist for the Virginia Arts in Education Residency Program. Ms. Ward has successfully received state, federal, and private funding for research and program implementation including authoring and implementing twelve (12) dance-related grants, such as $40,000 from the Pew Center for Arts & Heritage through Dance Advance Award for the reconstruction of “Americana,” a signature work of the legendary Ms. Katherine Dunham and $96,000 to acquire and present a new work by Dianne McIntyre. Her presentations and publications on the international, national, state, and local levels are extensive and varied such as the publications of African-centered Dance: An Intervention Tool for HIV/AIDS Prevention, Health and the Power of Dance, and African Dance Aesthetics in a K-12 Dance Setting: From History to Social Justice. She is the recipient of Norfolk State University’s 2009 Distinguished Faculty Award for Scholarship and is currently the recipient of two Virginia Department Health/Centers for Disease Control and Prevention grants.